SOUTH Africa’s energy utility, Eskom, would be restructured into three entities of generation, transmission and distribution all of which would remain under the control of Eskom Holdings in an effort to restore the fortunes of the debt-laden company. This was among the key statements of President Cyril Ramaphosa who, in his much-anticipated State of the Nation Address (SONA) in Parliament this evening, spelled out that state-owned assets deemed core would not be sold, Eskom’s included. This falls short of calls for the privatisation of certain elements of the utility, but Ramaphosa said that in restructuring Eskom on these three lines, its accountability would be improved whilst simultaneously making it easier to attract new investment. In addition, the government would fund some of Eskom’s short-term debt problems, the details of which would be outlined by South African finance minister, Tito Mboweni in the National Budget, later this month. He added, however, that government subsidy support would not over-burden the fiscus with unmanageable debt. Eskom is struggling to finance R419bn in debt. It recently closed a series of hearings before the National Energy Regulator of South Africa and other stakeholders aimed at having a 15% increase in the annual tariff for the next three years approved. The Minerals Council recently argued, however, that approving these increases would sink the mining sector. “Eskom will need to develop a new business model,” Ramaphosa said. “It needs to take into account the role Eskom should play in generating energy from new technology. “To bring credibility to the turnaround, we shall immediately embark on a process of establishing three separate entities: generation, transmission and distribution under Eskom Holdings. This will ensure we isolate costs and give responsibility to each sector and allow it to raise funding more easily from lenders and the market,” he said. This would include the development of a state-owned transmission grid and a systems operator with power procurement and buying functions. “It is imperative we undertake this without further delay in order to ensure security of electricity for all South Africans and establish a basis for Eskom’s long-term sustainability,” he said. 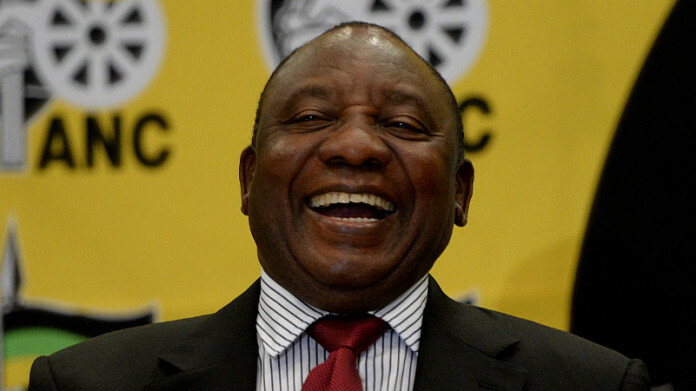 Ramaphosa added that Eskom would need to “… take urgent steps to significantly cut costs” and improve its revenue lines “… through a sustainable tariff”. He also urged South Africans to end the “… culture of non-payment in some communities”. In a SONA that was big on business, and which set down goals and targets with the presidential rider of “watch this space”, Ramaphosa also described the discovery of large amounts of offshore gas and oil as a “potential game-changer” for the economy. To jeers and cat-calls of the mines minister’s name, Ramaphosa said he had last night (February 6) received a call from Gwede Mantashe informing him that French energy firm, Total, had discovered a “world class gas and oil play” at its Brulpadda prospects on Block 11B/12B in the Outeniqua Basin near Mossel Bay. “Whether you like it or not, we are extremely encouraged by the report this morning … which some describe as a catalytic find. This could well be a game-changer for South Africa and have significant consequences for energy security which we have been yearning for. “We congratulate Total and its partners and wish them well for this endeavour. The government will continue to regulate the sector in the interest for all South Africas. We want to have this sector which could yield enormous benefits for South Africa as it has for other countries,” he said.